This is a one of a kind Custom Cocktail Kit. The Finish on this kit is a Natural Maple Lacquer, The drums are 16"x24" Bass/Tom 12"x6" Snare Drum 10"x6" Rack Tom & 12"x6" Rack Tom. All Happy Hour Kits come with my patented Rail System for installing your kick pedal. All Tom and Snare mounts are totally adjustable. 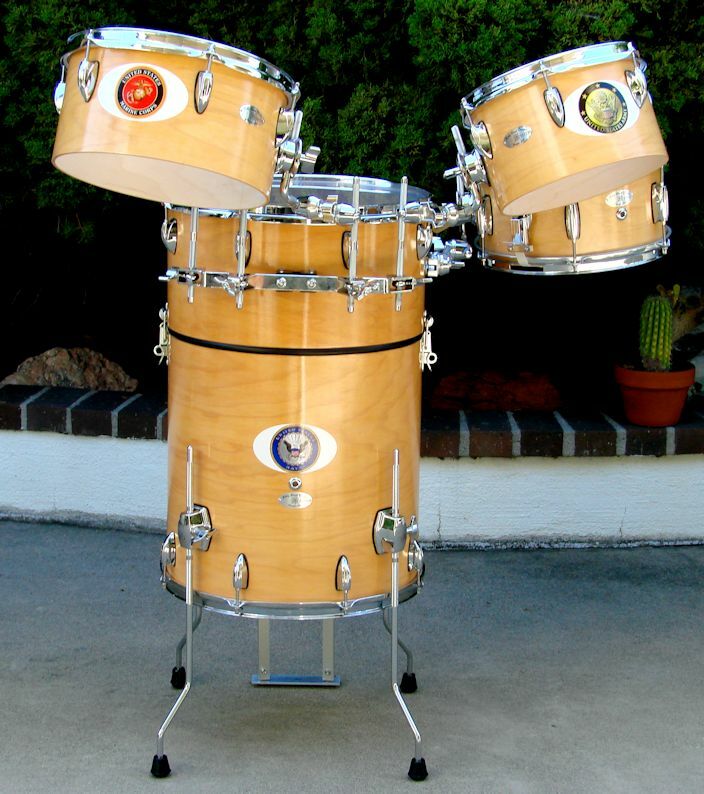 I donated this kit to our Wounded Warriors.